If you've been following me here and on Twitter, you know I'm an ebook advocate. I was before I got my Kindle 2 a few months ago, and I'm more so here. I think we're on the verge of the biggest revolution since Gutenberg, and I think it's generally a good thing. But with any change, things are lost, and they aren't always the obvious ones. Let me share a little story with you. 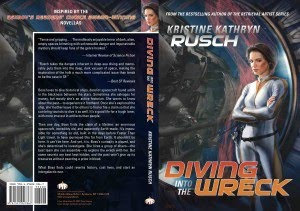 My friend Kristine Kathryn Rusch has a new science fiction novel out called "Diving into the Wreck." The other day she had one of those nice little promotional accidents happen. 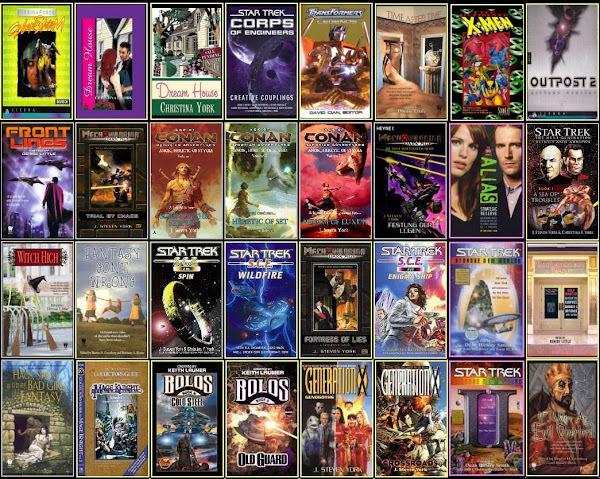 One of the producers of the Stargate Universe (and several of the earlier Stargate Series) Joseph Mallozzi has a blog, and on that blog he has a "Book of the Month Club" where he showcases one book a month for reading and discussion. He also seems to have a lot of followers (producing a cult-favorite TV show will do that for you) so while this won't likely put her on the Times list or anything, it will probably sell quite a few books for her and put her name in front of a potentially new audience. I remains to be seen how big a win this is, but it's a win none the less, and at a key time for demonstrating the strength of the book (in hopes of turning it into an ongoing series). It may sell five copies, it may sell five-hundred, but it will move some books and create some awareness, and that's a Good Thing. The life of a book is full of these little incidents that build sales. This is a rarity in that the author was actually aware of it. Most of them go unseen and undiscovered until the sales figures come one. But I have a suspicion that a lot of these happy accidents have something in common with this one. That thing is the way that Kris's book came to be a Book Club selection on this blog. It has to do with the Cover. Here's the dope straight from Mallozzi's blog: "The last time I flew to Montreal, I was seated beside a guy reading a science fiction novel. The cover caught my eye and I made a mental note to check out the author the next time I found myself in a bookstore. A little over a week later, I was on a flight back to Vancouver when I happened to glance across the aisle and notice a woman reading an SF title – different book, but same author. What were the chances? THIS, I decided, was fate –"
Fate? Perhaps. Or maybe just a good cover at work. Admit it. How many times have you been on a plane, or a bus, sitting in a waiting room, and looked over to see what another person was reading. It's human nature. It's a way of peering into the mind of a stranger, to seek some insight, or to find some commonality, or maybe just to find a good read to look for next time you're in a bookstore. But your eyes are drawn to that cover. It's more than just a wrapper for a book, and it's more than a sales tool for the book while it's sitting on a store shelf. There's another aspect to it that we forget about. It's free advertising, the gift that keeps on giving. Now, it's easy to dismiss the importance of this advertising effect. Sure, you may see a stranger reading a book or author that you'll later look for. Maybe you'll strike up a conversation in the DMV line that will lead to an enthusiastic recommendation for a book. But that's only a book here, a book there. Well, don't dismiss that. A book here, a book there, it ads up. And sometimes, it isn't just a book. Sometimes a book can be seen in good company and the results can be spectacular. Oprah has only to hold up a book to a camera to turn it into a best seller. Both Ian Fleming (James Bond) and Tom Clancy became best-sellers on the basis of casual Presidential endorsements. 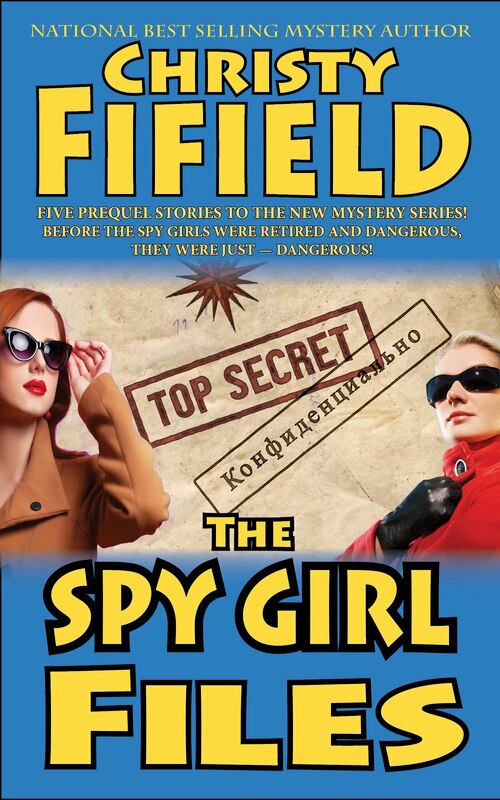 Movie deals have been made because someone in power spotted a book cover that got their attention. Let's face it, few people in Hollywood ever even get past the cover! Well, ebooks don't have covers, at least in the sense of a little full-color billboard that tells everyone what you're reading. (Sometimes, as I complained in an earlier post, they don't have covers in any sense at all.) If ebooks, as I suspect, start to push out paper books in the coming years, that fundamentally changes a social dynamic of reading. In someways, that may be good, especially for certain genres and types of books. People will feel comfortable reading ebooks in public they'd never have been caught with if they had a glossy cover wrapped around them. I suspect that more men will read romance, for example, and erotica will get a boot. 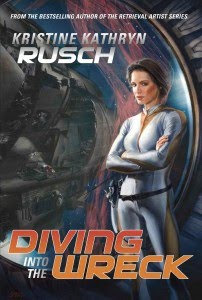 Science fiction, men's action aventure, most any kind of fiction that might carry some sort of stigma, real or perceived. But in the larger sense, everybody loses, just a little. Book covers are a way of connecting readers with readers, and readers with books, and with ebooks, that's gone, and there's nothing obvious to replace it. And that's a shame. It's not going to make in difference in when or if ebooks will push out paper books though. Things will happen as they happen. We lost something wonderful when vinyl records and those big, gorgeous covers were replaced by postage-stamp sized tape and CD jewel-boxes. There's nobody who grew up with them who didn't love them. But they vanished anyway. Maybe something will come along to replace some of the secondary functions of book covers. I'm thinking some kind of social media site or store function that will let people display and share their reading lists and recommendations. Of course, it won't be the same. Nothing ever is. But if we can't stop the future, we can at least take steps to mitigate the damage when we understand what it is we're losing. And hey, buy Kris's book! If you found this post useful or informative, share the link with your friends, and if you'd really like to see more like it, a small donation is always an incentive. Steve - I think they can. Look up Michael Stackpole's stories on Kindle and you'll find he has at least a semblance of a cover - even for his short stories. Mine don't - I'm no artist and haven't made the time (although it is on my list of important promotional things to pay attention to, which is far bigger than my time assuming I need writing and earning real money time). You've also got to drive people to a book - even an ebook - and I think the ads will need images that are essentially covers. i hate that ebooks dont have the REAL covers.